Food It Yourself Garden 2018- It Takes Pain to be Beautiful | Food It Yourself! Check it out! my cucumbers are already sprouting. My mom used to tell me “it takes pain to be beautiful.” She would then commence the lengthy process of detangling my thick, wavy hair. This year, getting my garden together was a lengthy process, mostly because of my decision to expand my strawberry patch. Finishing up all the soil prep and planting yesterday left me sore and tired, but I think it will all be worth it. I had some really fancy plans for my front-yard strawberry patch. The “deal” I purchased offered 25 plants each of eight varieties of strawberry. I had originally thought to give each variety of strawberry it’s own little plot, surrounded by a stone boarder. Then I would make signs for each plot and track which variety thrived best in central New England. It was a whole long term plan. But then I had to adjust my grand scheme slightly as my rototiller is currently non-functioning, which limited how much of my lawn I could realistically till over. The good news is that before the tiller stopped working I was able to dig up enough of the grass to comfortably support all 200 strawberry plants. 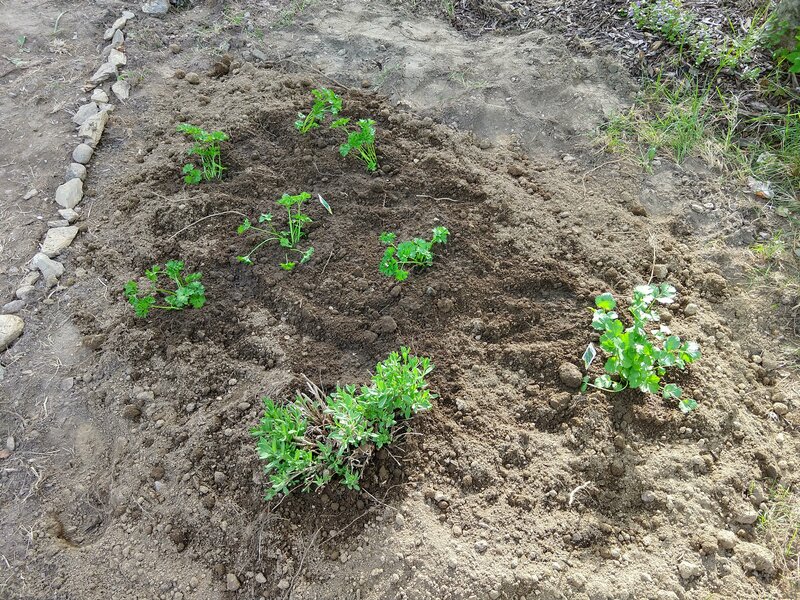 After I calculated that- with a measuring tape and a calculator and all kinds of math- the rest was just soil preparation and sticking plants in the ground. 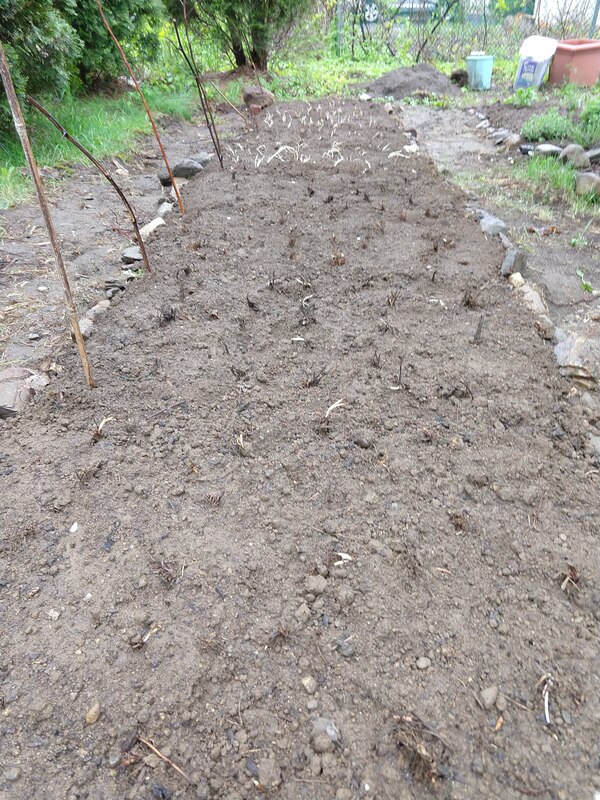 Looking at the picture from left to right-I left a 18 inch border on the edge of the bed facing the road, just to reduce the chance of salt-laden snow landing on the berries during the winter. 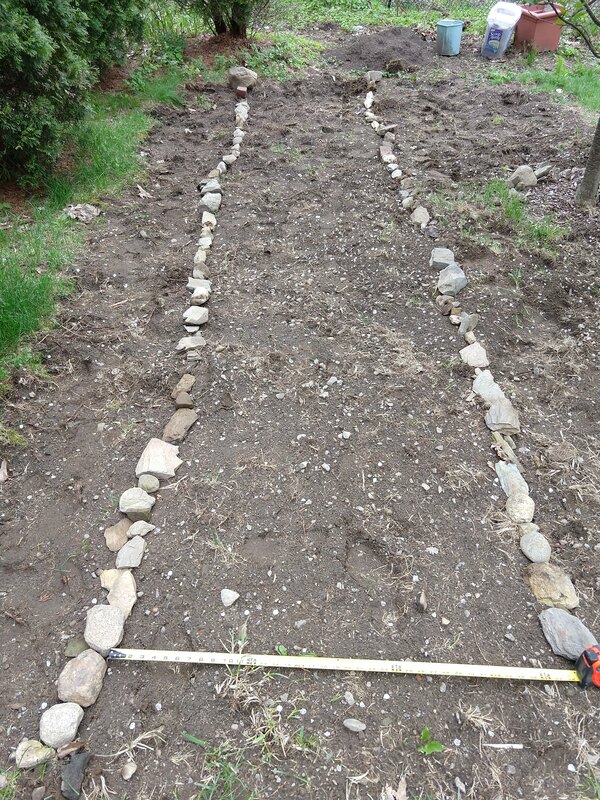 Then I measured off a three-foot-wide stretch and marked the boarders with rocks. The bed is 16 fee long. Four strawberry plants can be planted in each square foot. Divide this bed into eight sections, each 2 ft x 3 ft., and like magic, each six square foot section can support 24 (6×4) strawberry plants. And squeezing one extra in is no big deal. The bare-root plants were sitting in my basement for about two and a half months. They held up very well- I think they all survived. With my strawberries situated I moved on to everything else. 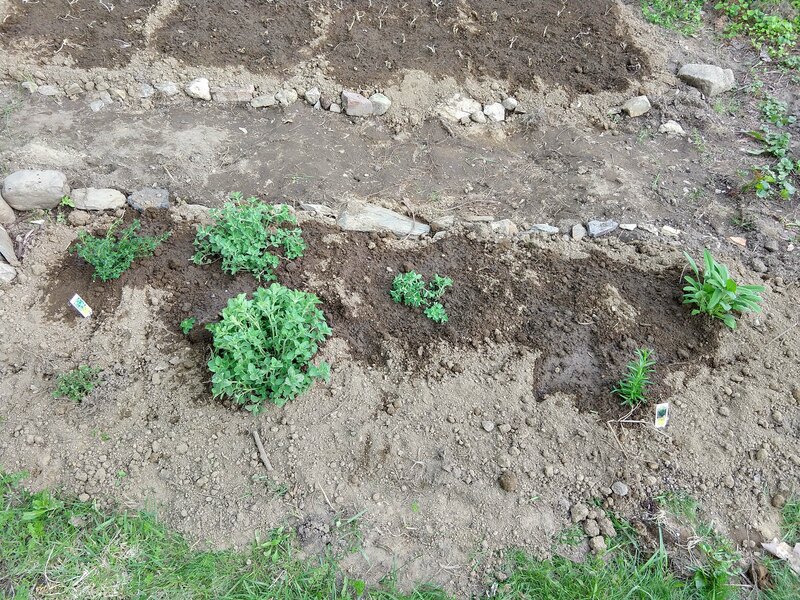 I moved my herbs to the front yard, near the strawberries. 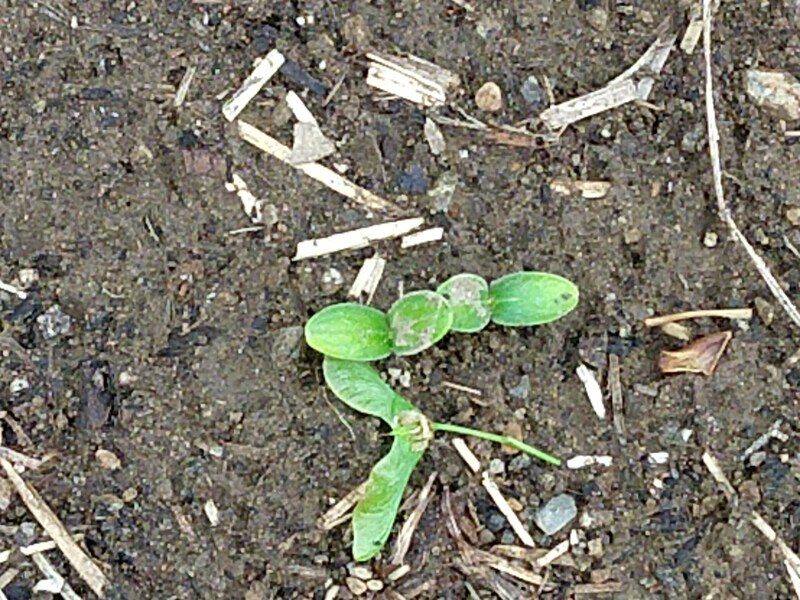 We had some “volunteer” sunflowers coming up in the back yard. I moved them to the beds by our front door. Remind me to take a picture of them in August. It looks like they are standing watch over the house when they get tall. 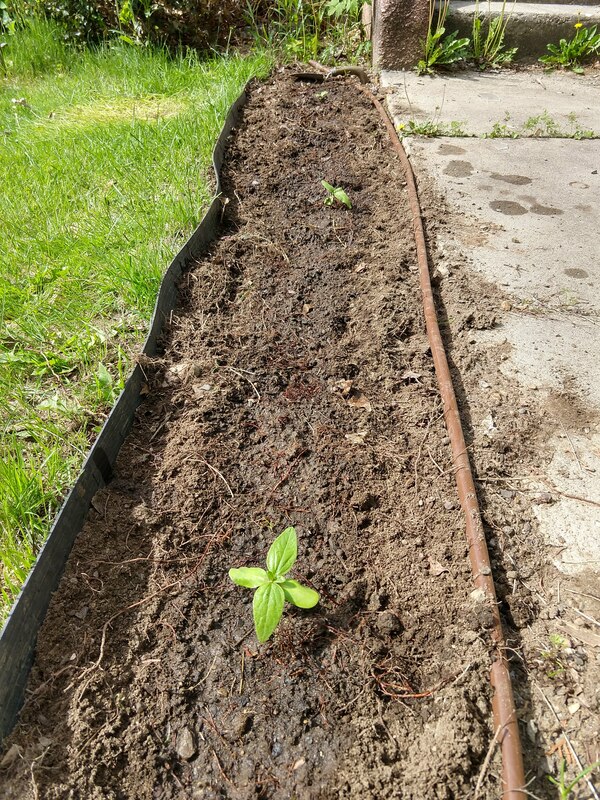 I also planted seeds in between the seedlings. With a little luck we will have seven Mammoth sunflowers standing tall at each side of our door. I will be feeling the pain of all the stooping, kneeling, digging, and raking for a few days, I’m sure. However, I am so excited that everything we intend to grow this year is in the ground. Now, we wait! What challenges have you had to overcome in your garden this year? Share your problems, and solutions, in the comments section.